If you’ve been around our Reid-Hillview location within the past year, chances are you know SG already. 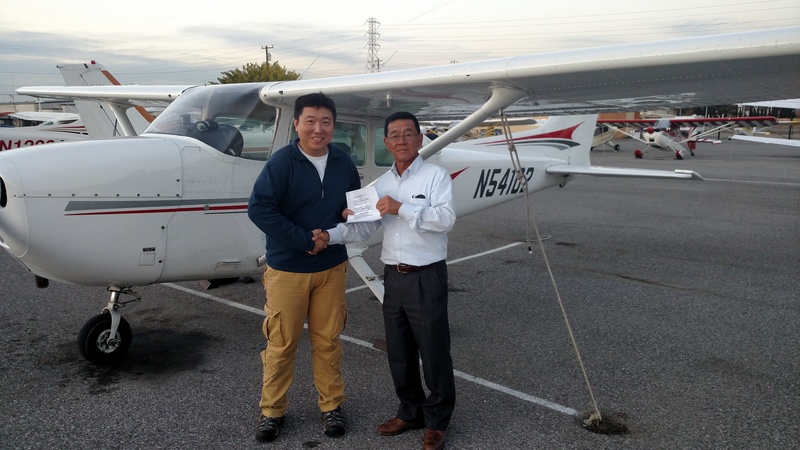 He’s become a welcome part of the family, and we are proud to annouce he passed his Private Pilot checkride with flying colors on the first attempt with DPE Yuzo Wakita! SG began training with David Pease, but he’s flown with almost all the instructors we have. Special thanks to Eric Curtis and Jen Delp-Mallet for helping SG stay on track and pushing him out of the nest. No more cross-country or 90-day solo endorsements, SG 😉 We are so proud of you! 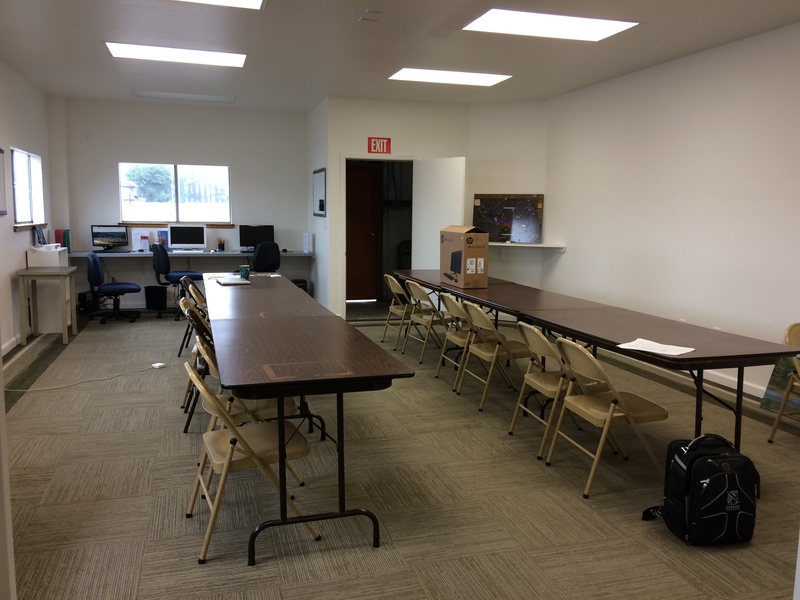 Now…onto instrument rating, commercial certificate and eventually CFI so you can teach with us. 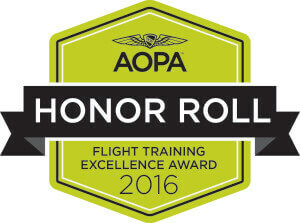 AeroDynamic Aviation makes AOPA’s Honor Roll! The Aircraft Owners and Pilots Association (AOPA), the world’s largest aviation association, has recognized AeroDynamic Aviation for its high standard of accomplishment in flight training. The flight school has been awarded a spot on the 2016 Flight Training Excellence Awards Honor Roll, a title given to high scoring flight schools from AOPA’s annual flight training poll. The 2016 awards were drawn from flight students and pilots who voluntarily reviewed their flight training experience last summer through an AOPA online poll. The process yielded an evaluation of 789 different flight schools and 1,515 individual flight instructors. AeroDynamic would like to thank all its students, renters and flight instructors who worked hard for this honor and nominated us. Thanks to them, we also recently earned Cloud9 Living’s Legendary Experience Provider Award and Best of Groupon. You are all appreciated! 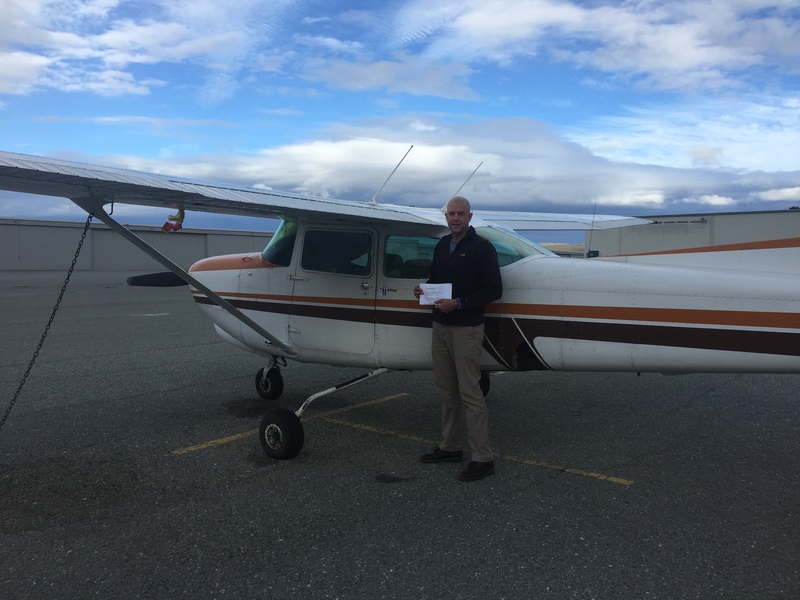 After years of tireless dedication, not just to aviation but to the many students he’s taught over the years, Larry Reed finally has the classroom of his dreams. We are honored to have such an accomplished ground instructor. Thanks for all your hard work, Larry. Larry is a CFI, CFII, MEI, AGI, IGI, and has a BS in Professional Aeronautics from Embry Riddle. Wow! Larry had his first airplane ride at six, and he has loved airplanes and flying since including building and flying model airplanes, being an aircrew man in the US Navy, flying in radar-equipped Super Constellations (EC121K) and P3A Orion antisubmarine aircraft. 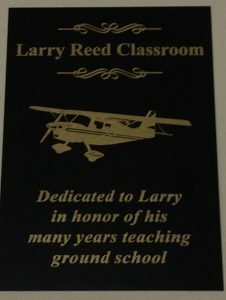 In parallel with Larry’s 50 year career in Electronics and Aerospace he obtained his Pilot and Instructor certificates and ratings beginning in 1964 as a student pilot, at the Navy Memphis flying club, soloed at Reid Hillview Airport in 1966, became a Certified Flight Instructor in 1977, also at Reid Hillview. Larry learned aerobatics in 1978, taught in taildraggers and tricycle-geared airplanes at AeroDynamic Aviation (formerly Amelia Reid Aviation) and other flight schools since 1977. Larry began teaching ground school to his flight students in his garage thirty-five years ago. Twenty five years ago, he started a ground school for EAA Chapter 62 and has been teaching the Private Pilot Ground School almost continuously, to the present. He has been teaching at Amelia Reid/AeroDynamic Aviation for about twelve years. Larry teaches quality aviation classes that prepare students to safely pilot an airplane, and to pass the knowledge exam. He has taught hundreds of students in the past thirty five years. Congrats on all your hard work. 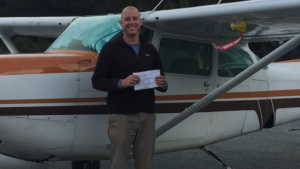 Now…on to the CFI! As a historic flight school, we love our traditions, especially when they involve tailwheel aircraft! Flight Instructor Batelle cuts the tails off her tailwheel student’s shirt after his first solo flight in a Citabria. 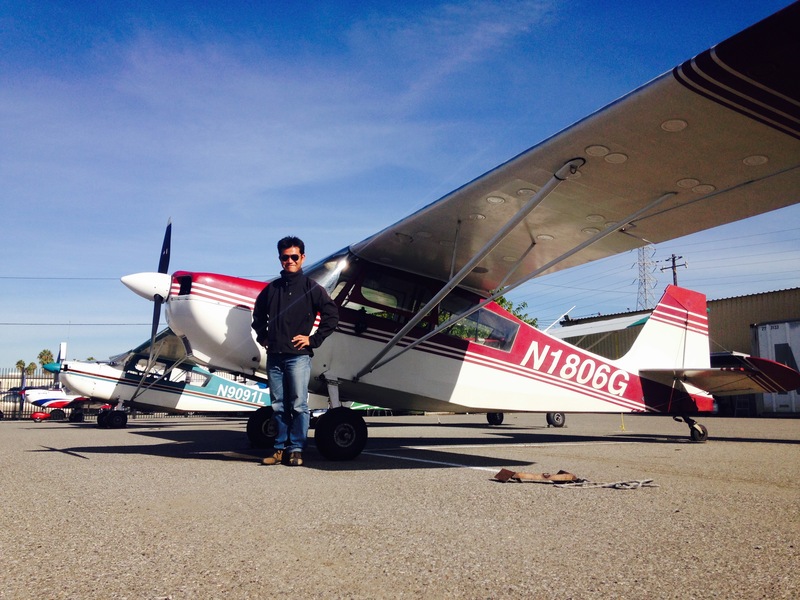 Hajime hails from Japan and has been training with us since late August for his Private Pilot Certificate. 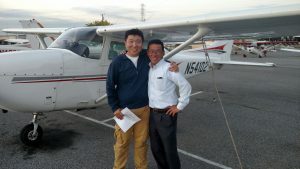 Jumping the hurdles of becoming proficient in English and Aviation languages, he progressed quickly and now moves on to the cross-country and checkride prep phase of training. Congrats to Hajime for taming the taildragger and Batelle for all her hard work!